Hey guys, I'm a mechanical engineering that is currently working on my senior design project. 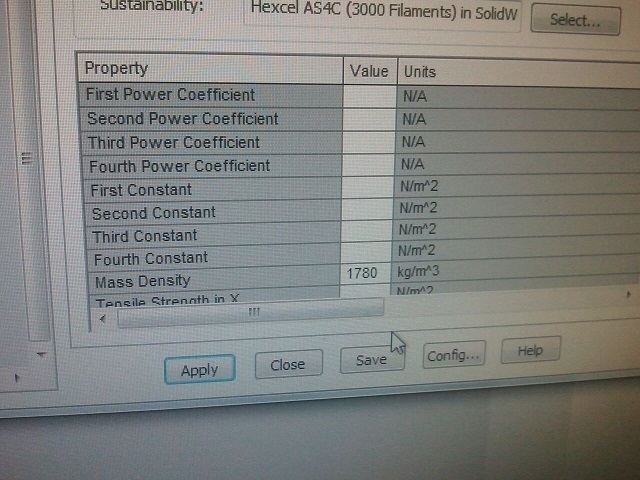 I am trying to run some FEA tests in SolidWorks, but have been unable to due to material properties. I am trying to use a carbon fiber material that is hyperelastic. I was just curious if you guys had any idea what the material properties are for carbon fiber. I am trying to use two different programs for this. Could anyone point me in the right direction for carbon fiber material properties? SolidWorks requires less properties. Either one would work.